Coming home from vacation is hard. Especially when you’re coming home to Utah weather. This morning I realized that it snows during every season except summer here. Extremely lame. 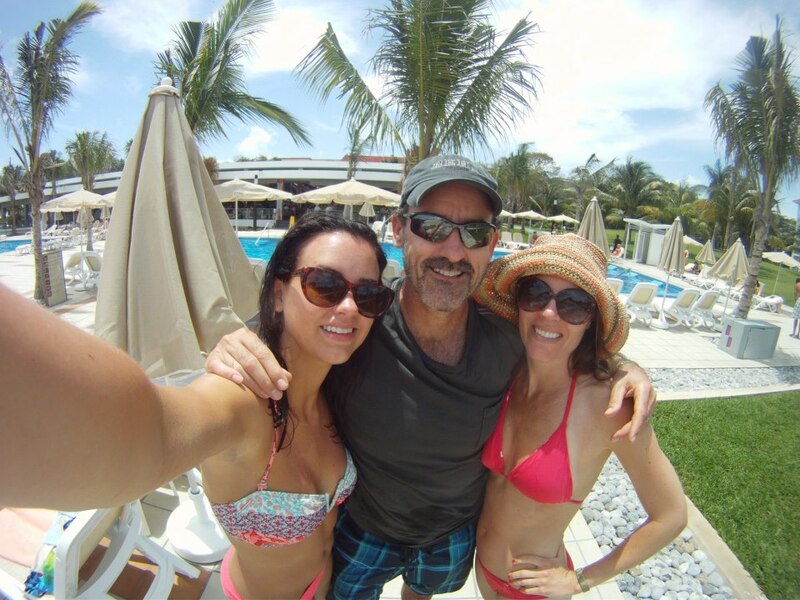 I suppose it made us appreciate the 85 degree weather in Mexico even more though, right? Right. The trip started out with just enough drama when a fellow passenger was escorted off the plane in Cancun. After touching down, it was announced that no one would be exiting the plane just yet except for one passenger. After paging his name there was this deafening silence as we all looked up and down the aisle waiting to see who this person was. Holy walk of shame. Not that we even knew why the hell he was being escorted off by himself, but we knew it wasn’t good. 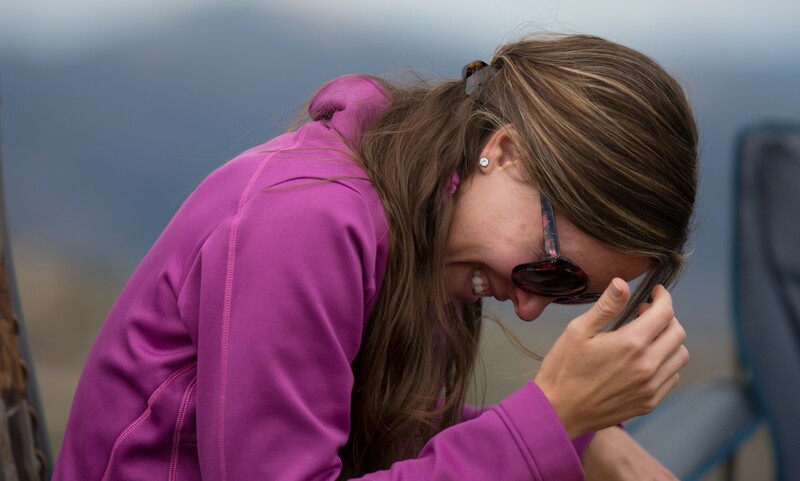 As if the suspense wasn’t already killing us, the flight attendant continued to announce that this was “the most unusual thing I have ever seen.” She probably said at least five times, “Sorry folks, please remain seated. This is just very strange. I honestly have never seen anything like this.” I seriously almost died from not knowing. Once we were finally off the plane we spotted the mysterious passenger in a room full of security dudes. And security dudes and police officers in Mexico are not the same as the ones in the United States. Meaning, they carry machine guns! 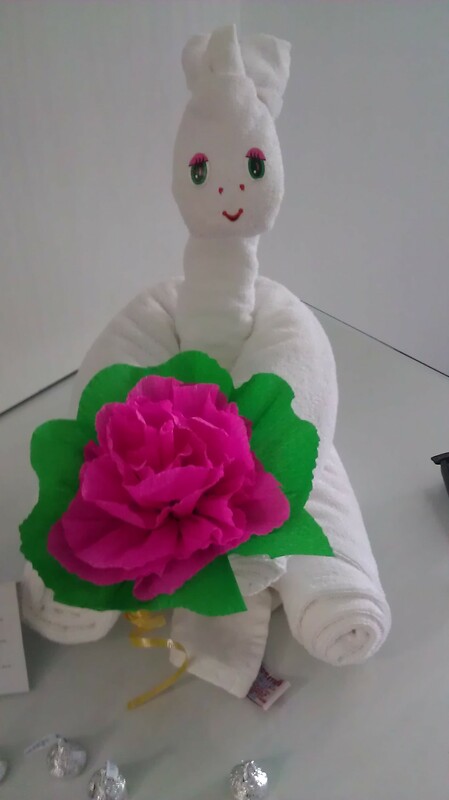 We finally reached our resort after what felt like one of the longest car rides ever and were greeted in our rooms with some wonderful towel creations. I wrote before about my dislike for the swan towel, but the Riu Palace Mexico put a new twist on it, and I think I like it. Check out these bad boys. I mean now they have sticker eyes and streamers! 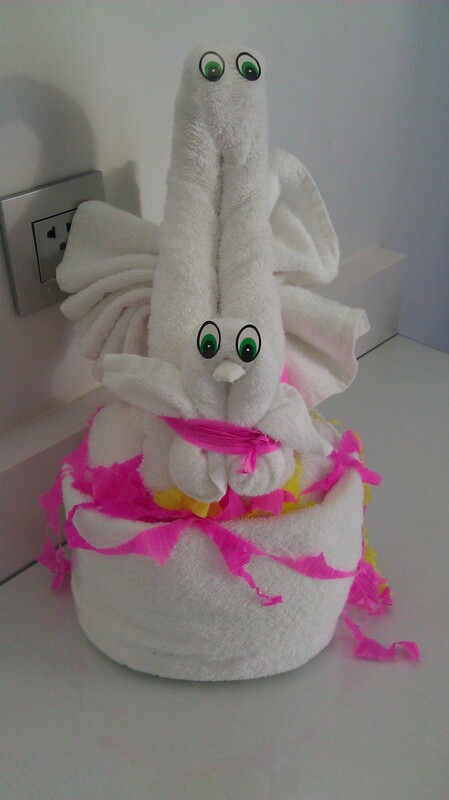 Maria, our housekeeper, was a towel creation champion. I don’t know what this one is supposed to be, but I like it. Besides enjoying the random animals made out of washcloths, we spent our time lounging at the pool, walking along the beach and eating way too much food. All-inclusive is the way to go, but it’s also dangerous. Each meal consists of like five different courses. Of course, drinks are also unlimited, so add those calories on, and well, you’re screwed. I mean unless you’re looking to gain a few pounds, in which case, you’re in luck. -Being asked if we “want to get high” repeatedly on the 5th Avenue shopping street. We politely declined. -Asking for a decaf at the end of dinner and having the server bring us an enormous jar of decaf coffee and a cup full of hot water. Self-serve style! 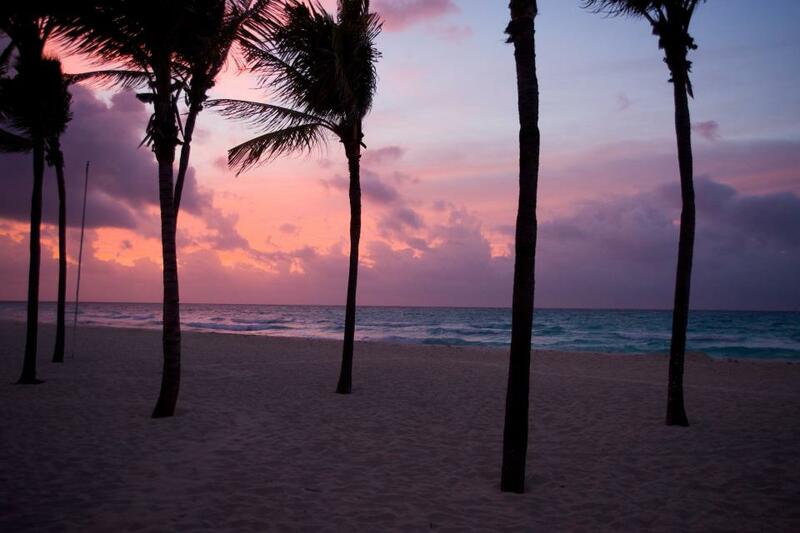 Here are a few pics to sum up the beauty of Playa Del Carmen, Mexico. Crossing my fingers we’re back on the Riviera Maya soon. This entry was posted in travel and tagged beach, Cancún, Mexico, Playa Del Carmen, riu palace mexico, Riviera Maya, vacation on April 14, 2013 by soniestephens.